swench: Can Pumuckl have a girlfriend and get married? 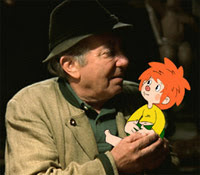 Can Pumuckl have a girlfriend and get married? Ok, I doubt a lot of people know who "Pumuckl" is and really couldn't care less about this, but I just have to share this weird story. Apparently there is a dispute in Munich going on about the idea that the cartoon character "Pumuckl" could have a girlfriend and get married. 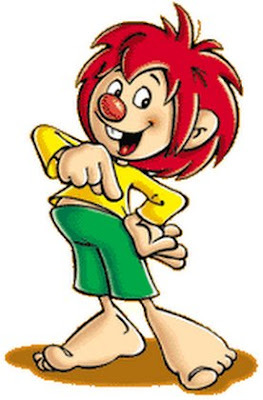 It all started with artist Barbara von Johnson, who is drawing the character for the classic TV show, appearing on Munich's local TV channel and asking for a drawing competition which would have people come up with a girlfriend for Pumuckl. First prize would be the possibility to attend the wedding between the two. The creator of Pumuckl, Ellis Kaut, wasn't very fond of this idea and went to court. Her argument being that Pumuckl is a ghost and because of that couldn't have a girlfriend because the Pumuckl character, who's usually up to no good, has no defined gender and is therefore a asexual. But the court rejected the complaint. The copyright law of the creator has not been violated because the drawing competition is not a continuation of Pumuckls story as told so far, according to judge Matthias Zigann. But when it comes to a direct continuation of Pumuckls story and life only the creator, Ellis Kaut, has the power to decide if and when Pumuckl will get a girlfriend or get married.